It’s always interesting, and a bit humbling, to hear how people around baseball feel and talk about David Wright in 2018. He suddenly isn’t our David Wright — our Captain — anymore. 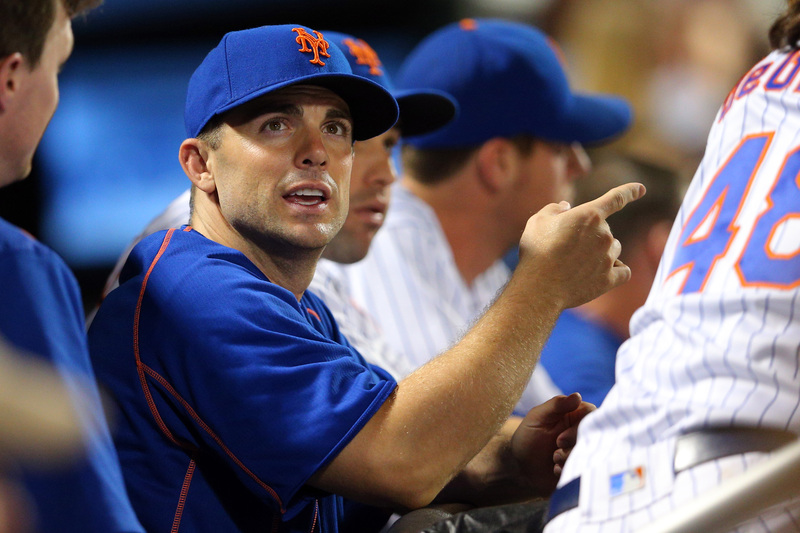 David Wright is just a guy who used to be really good and isn’t now because injuries derailed his career. David Wright was a former seven-time All-Star from the ages of 23-30 who hasn’t really been seen or heard from for the better part of four seasons because of a litany of back and neck injuries. David Wright was a nice player, maybe even a great one. Maybe he was even on pace for the Hall of Fame. But David Wright got hurt and most of his 30s have been a wash. It’s a shame. David Wright was a nice player. Is there anything more deflating than being reassured by a non-Mets fan that David Wright was a nice player? They say gaining different perspectives is enriching, but I’d rather spend the rest of my existence with my head buried in the sand, deaf to how people who didn’t cheer for Wright or the Mets, feel about him. You don’t get to tell me he was a “nice player.” I get to tell you he was a first-ballot Hall of Famer before the universe robbed him of a career Back 9. That he was a mensch of the highest order. That I’ve spent half of my life staking my emotions to him and his performance, which is too long for anyone to refer to him as a “nice player” and not an all-time great. The thing is, everything about the way David Wright is viewed by the 29 other fanbases and impartial viewers is true. He’s retiring as a pretty great, but not Hall-of-Fame-worthy player; as the greatest hitter in Mets history who could have amassed numbers worthy of making him one of the greatest hitters in MLB history if his body allowed. Just because we loved him more doesn’t make these things untrue. I’ve acquiesced to this objective reality, even if I haven’t quite gotten used to the fact that his career is indeed over. And because Wright’s road doesn’t lead to Cooperstown, it’s time to reflect on perhaps the saddest, if not the most poetically Metsian layer to his retirement. When Wright signed a seven-year extension in 2012, it appeared the Mets would finally have a completist. Here was Wright, who was going to be an all-time great who would spend his career with the Mets, set every team record and inevitably land in the Hall of Fame. Here was our Chipper, our Jeter. Our Gwynn, Schmidt, Banks and Bench. That it didn’t end like that could not be sadder. Or more appropriate. The Mets finally had a completist, and his body started decomposing as soon as he crossed the wrong side of 30. It always seems to go this way with the team’s all-time greats. The greatest player in franchise history, Tom Seaver, was unceremoniously traded to the Reds after 11 seasons, three Cy Youngs, two pennants and one World Series, due to a salary dispute. (The Mets? Salary dispute? You don’t say.) Doc Gooden had an electric half-decade before drug issues irreversibly damaged his career. Darryl Strawberry had eight monster years before signing as a free agent with the Dodgers, where personal issues would envelop his career as well. Mike Piazza, on the other hand, already enjoyed seven monster years as a Dodger before being traded to the Mets (via the Marlins, of course). He joined Seaver as just the second player to don a Mets cap in Cooperstown, but the Dodgers may have the stronger claim to the best years of his career. No such asterisk would be needed for Wright. In December 2012, it was clear he was going to be a Met for life, and undoubtedly the greatest Met of all time. He’d assure us that he wouldn’t just be the greatest Met by his numbers, but by his spirit too, earning just the fourth captainship in team history before the 2013 season. Save for the gigantic baseball for a head, he was Mr. Met — Mr. Met in a way that Piazza, and even Seaver for reasons much to his chagrin, were not. He loved this franchise and its fans, and the franchise and fans loved back five-fold. That it was all set up to end so perfectly and magically, only for it to fall apart as his body did the same, feels like, in retrospect, the only possible outcome for us. For the Mets. It wasn’t all doom and gloom after 2014, which weirdly gets sort of lost now. Wright came back in earnest next August and was an integral part of a team that won the NL pennant, finally checking a box in his career he fell painstakingly short of doing nine years prior. He hit a home run in his first World Series at-bat in Queens. I was there. It was awesome. He’ll get to play in one or two final games at Citi Field in front of his daughter and tens of thousands of adoring fans, and that will be awesome too. I’m supremely sad Wright’s career is ending this way, but I’m also taking a strange sort of solace in it as a Mets fan. We lost Seaver to the Reds. We lost Doc to drugs. We lost sole claim of Piazza’s prime to the Dodgers. We lost David Wright to his back. The Mets are good at losing. Isn’t there a sort of twisted comfort to be taken in that?